This week the country has come together to celebrate seventy years of our National Health Service. Back in 1948, Clement Attlee’s Labour government created a welfare state with the NHS at its heart – an institution built by and for working people. For the first time, everyone in the UK had access to a national, publicly-owned health service based on need, not ability to pay. The NHS has had its ups and downs since then, but it’s testament to the vision and creativity of those who created our system – not to mention everyone who’s worked in it over the years – that it survives to this day. And let’s not forget that our model of healthcare remains one of the most efficient and equitable systems in the world. Unfortunately, successive Conservative-led governments have failed the NHS since 2010. The damaging market-led reforms of 2012 coupled with a decade of severe underfunding have left our health and social care system teetering on the brink. We know from our members working in frontline NHS services that the pressure is the worst they have ever known, with growing concerns about patient safety. Anyone watching BBC’s excellent Hospital series would have been appalled by the scenes of dedicated staff desperately trying to find beds, patients lined up on trollies in A&E or facing frustrating, sometimes life threatening, delays and cancellations. So it’s clear that our NHS has gone backwards over the last decade, despite the best efforts of the wonderful staff who keep things going to the highest possible standards in often impossible circumstances. Thanks to the hard work of health unions and campaigners, the government has finally recognised the damage that austerity has done to the NHS. But Theresa May’s recent decision to increase the total health budget by around 3 per cent per year over the next four years is simply not enough. Health economists at the IFS and Health Foundation are clear that an additional 4 per cent a year is required just to maintain current levels of service, while an annual increase of 5 per cent will be necessary to build the world-class service the Prime Minister aspires to. And just last week, the head of the National Audit Office (NAO) Sir Amyas Morse was clear that much more funding is needed to build a healthcare system that meets the needs of a changing population. The public are not fooled either, as only 14 per cent of respondents to an IPSOS/Mori poll this week thought that the promised funding was sufficient to deliver improvements in our health service. 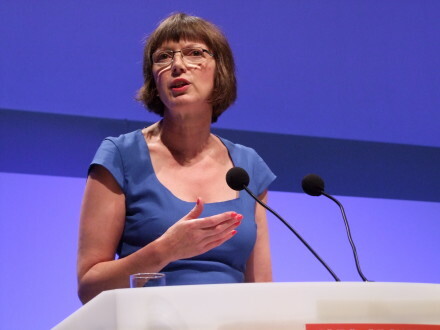 The NAO has called for ministers to find extra funding to form a new, united vision for health and social care in the 21st century. As the TUC has pointed out before, this level of funding is affordable and achievable – it just requires political will. We agree that the NHS needs a long-term plan – one that includes greater integration with social care and a workforce strategy that rewards and empowers NHS workers. Yes, we do need to maximise efficiency and productivity across the NHS so that every penny goes to service delivery. Dismantling the dysfunctional system created by the 2012 reforms would be a good place to start. These changes created a wasteful bureaucracy, introduced damaging competition and led to the fragmentation of services that is now preventing the kind of changes we all want to see. Crucially, a long-term plan must adhere to the fundamental principles that underpin our health service: a publicly owned, universally accessible NHS funded through general taxation. Because this is about the moral principle of equity and democracy that runs through our model of healthcare – a model that remains the most efficient and effective way of funding and delivering services to the whole community. If we want ministers to change course, we have to keep letting them know how much we cherish our NHS and how ready we are to fight for its future.